Here are some of the recent arrests made by the Montgomery County PCT 4 Constable's Office. These are arrests only...Not convictions. 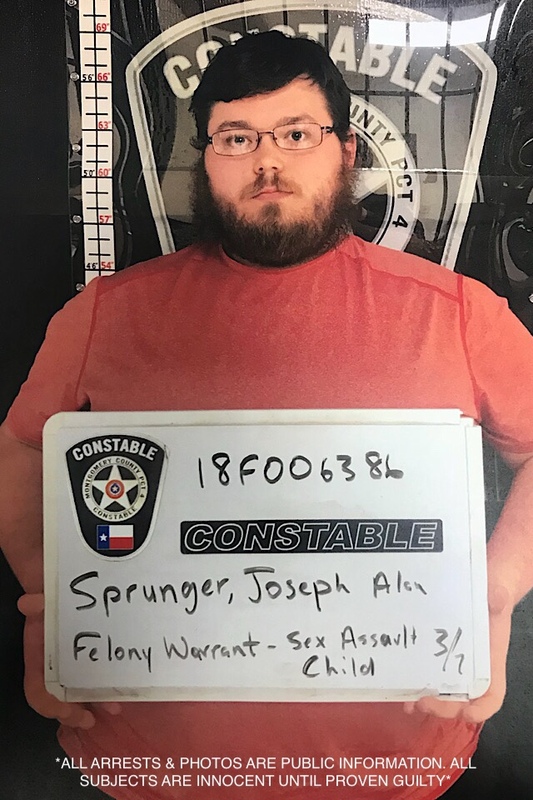 Joseph Sprunger, 26 years of age from Splendora, TX was arrested for a felony warrant for sexual assault of a child. 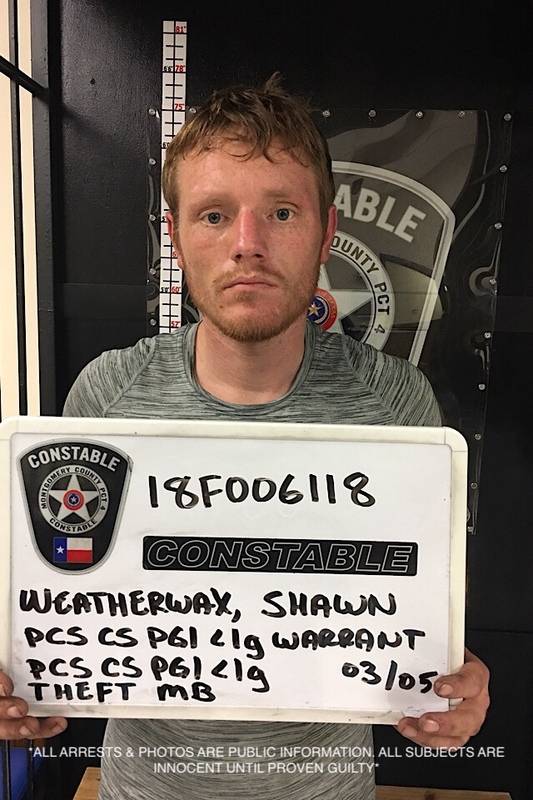 Shawn Weatherwax, 26 years of age from Universal City, TX was arrested for felony possession of a controlled substance (methamphetamine) as well as a felony warrant for possession of a controlled substance. In the vehicle, deputies located a generator that was stolen out of the jurisdiction of Houston PD. 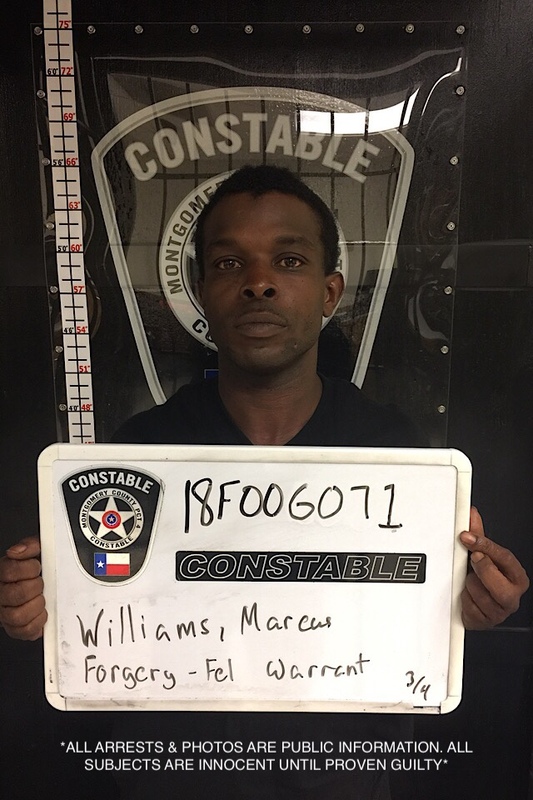 Marcus Williams, 37 years of age from Houston, TX was arrested for a felony warrant for forgery. 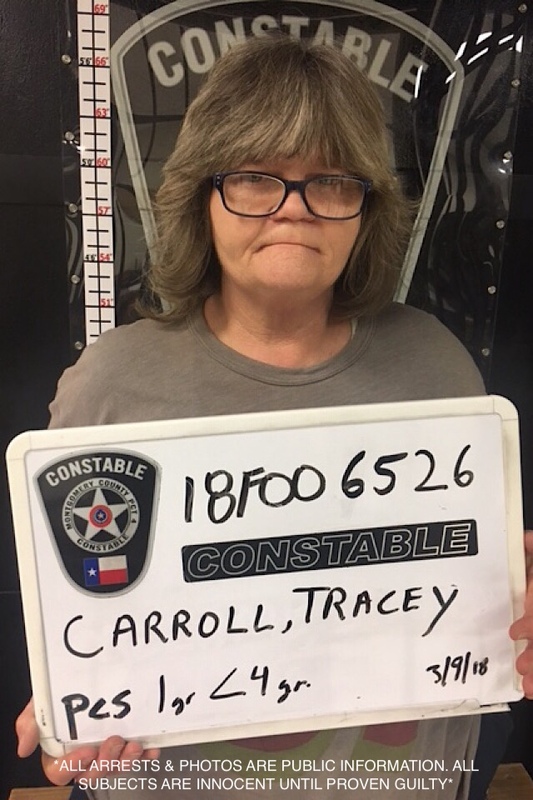 Tracey Carroll, 48 years of age from Conroe, TX was arrested for felony possession of a controlled substance (methamphetamine). 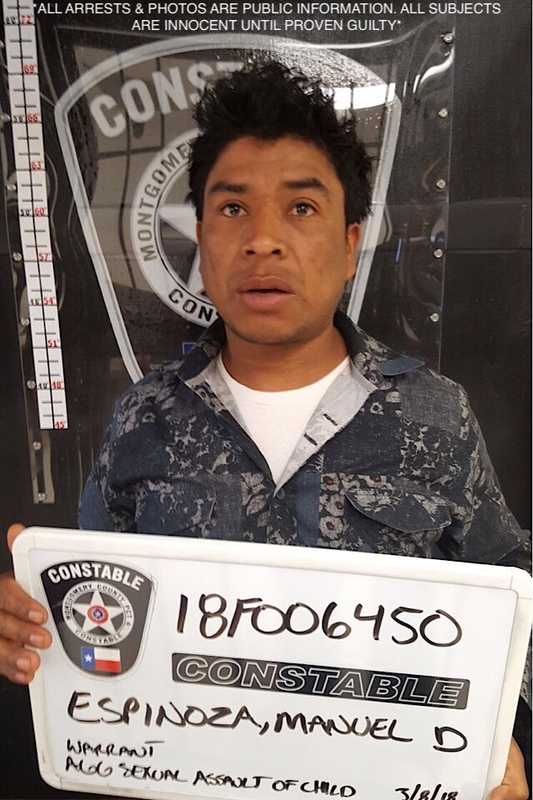 Manuel Espinoza, 36 years of age from Porter, TX was arrested for a felony warrant for sexual assault of a child. 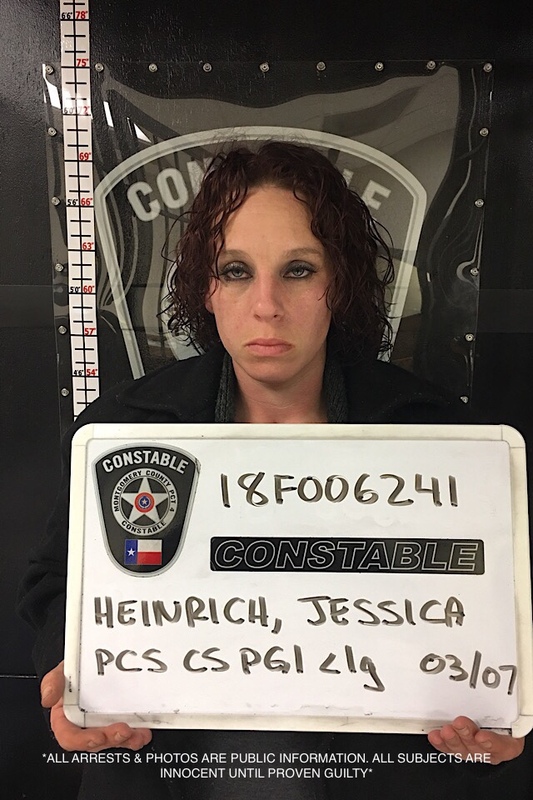 Jessica Heinrich, 34 years of age from Porter, TX was arrested for felony possession of a controlled substance (methamphetamine). 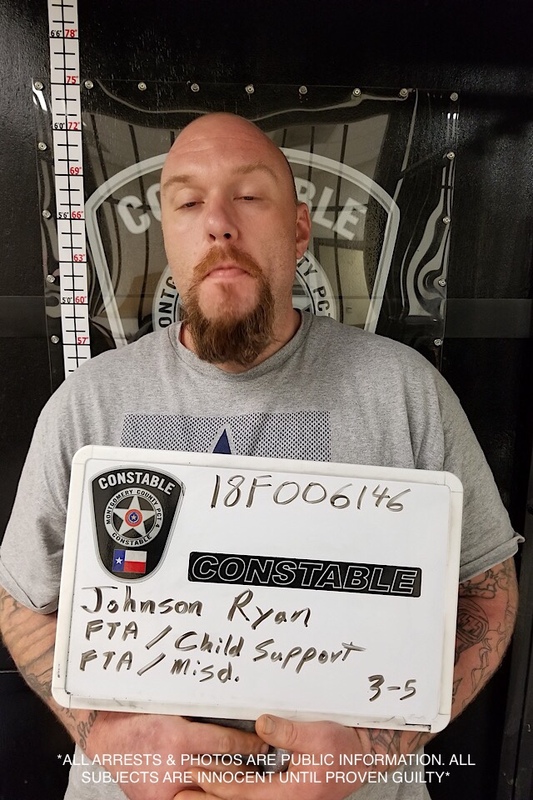 Ryan Johnson, 36 years of age from Humble, TX was arrested for a felony warrant for child support as well as a misdemeanor warrant. 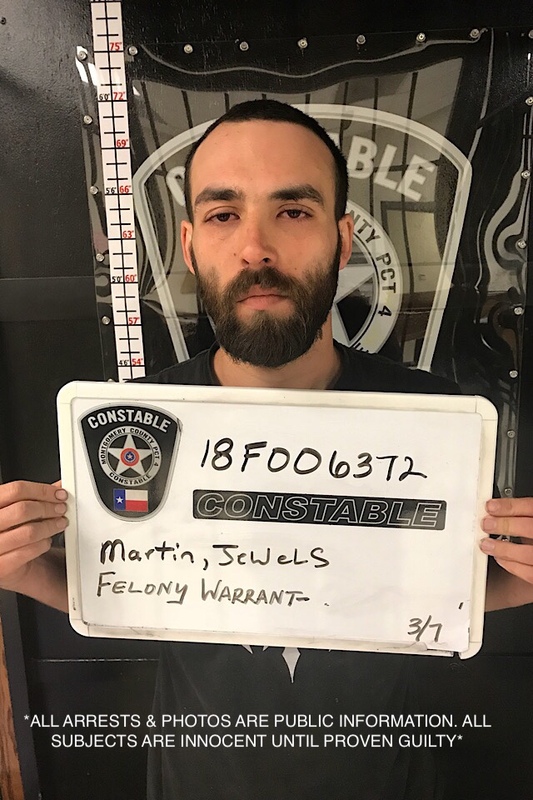 Jewels Martin, 27 years of age from New Caney, TX was arrested for a felony warrant for failure to report change of address. 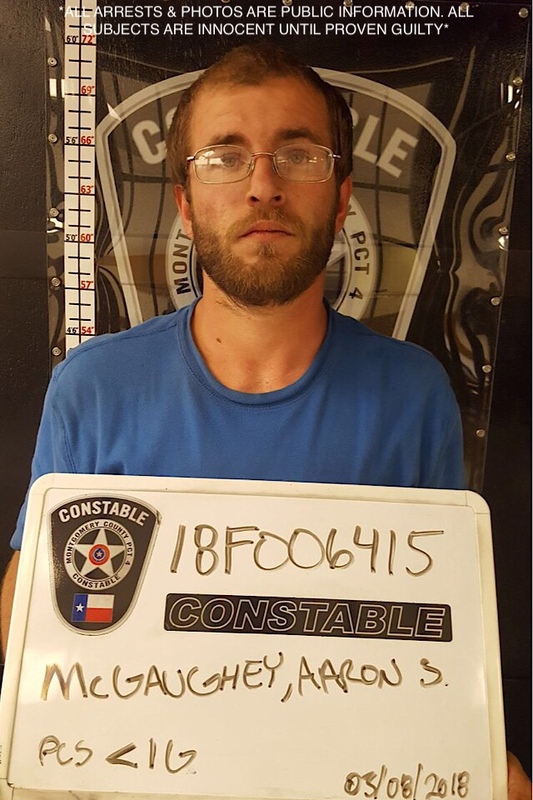 Aaron McGaughey, 27 years of age from Evant, TX was arrested for felony possession of a controlled substance (methamphetamine). 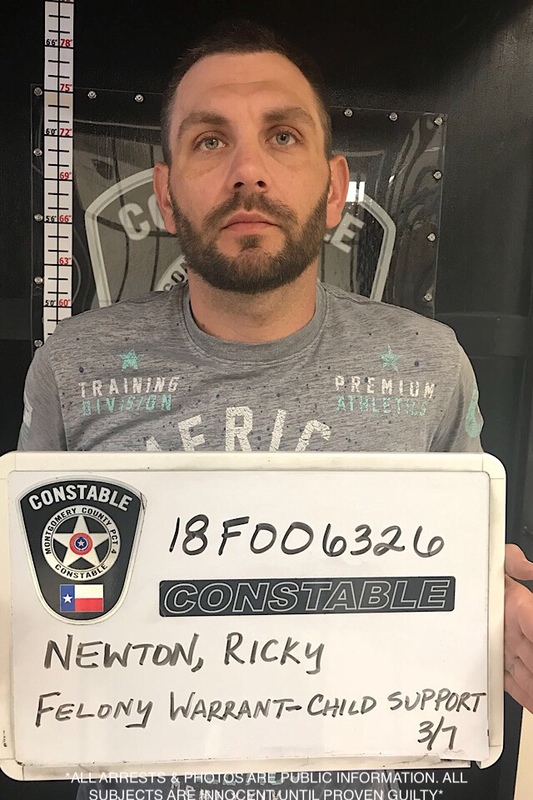 Ricky Newton, 34 years of age from Splendora, TX was arrested for a felony warrant for contempt of court. 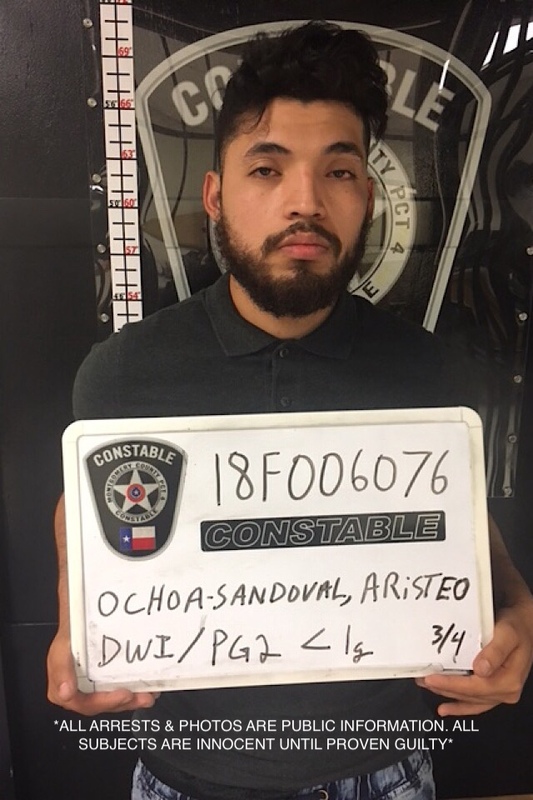 Aristeo Ochoa-Sondoval, 23 years of age from New Caney, TX was arrested for felony possession of a controlled substance (THC oil) as well as misdemeanor driving while intoxicated. 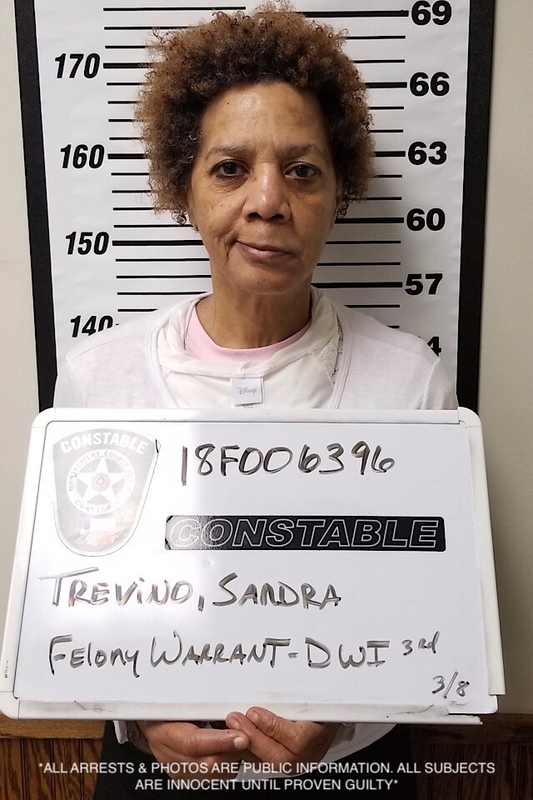 Sandra Trevino, 61 years of age from Porter, TX was arrested for a felony warrant for driving while intoxicated. Garrett, Dingman, 47 years of age from Spring, TX was arrested for two misdemeanor warrants. Ana Gomez, 22 years of age from Porter, TX was arrested for two misdemeanor warrants. Kenneth Ownes, 28 years of age from Conroe, TX was arrested for misdemeanor possession of marijuana. Douglas Valeriano, 32 years of age from Houston, TX was arrested for a misdemeanor warrant. Jimmy Moore, 51 years of age from Humble, TX was arrested for misdemeanor possession of marijuana. Jimmy McLamb, 37 years of age from Cleveland, TX was arrested for felony possession of a controlled substance (methamphetamine) as well as misdemeanor possession of marijuana. Daniel Perez, 21 years of age from New Caney, TX was arrested for misdemeanor driving while license invalid. Joshewa Dillard, 24 years of age from Cleveland, TX was arrested for misdemeanor possession of marijuana. Way to go gettem officers!